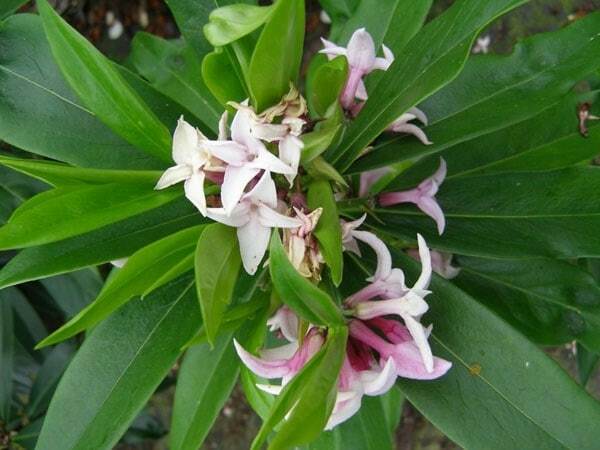 This great new hybrid has larger flowers than many of its contemporaries, and their scent is divine! 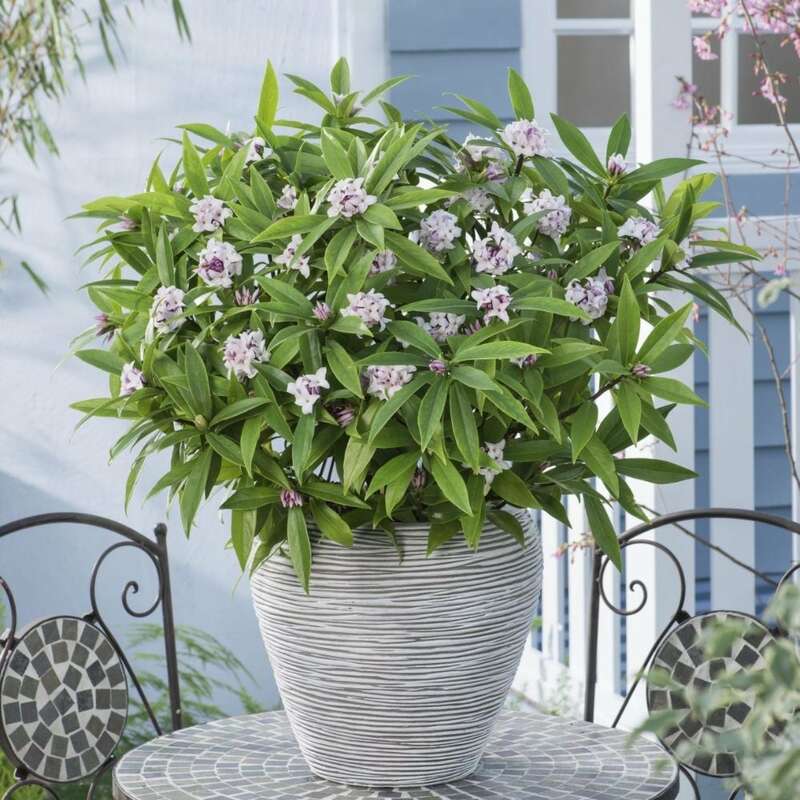 They form in clusters in the leaf axils along the length of the stems, so when in bloom they really put on a great show, and if a stem is cut for the vase, it will fill the room with their perfume. Mainly evergreen the leaves are lustrous and dark green, so will add structure and form all throught the year. Its perfect for a partially shady border, or a woodland garden. Garden care: Keep pruning to a minimum since the plant is susceptible to die-back. 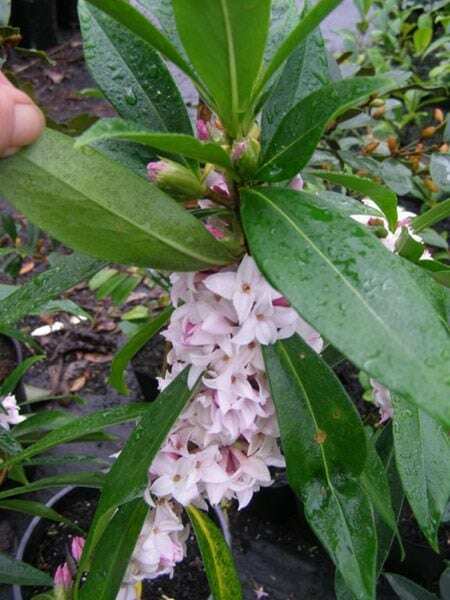 Where necessary after flowering, lightly trim to remove misplaced branches and maintain a compact habit. Has been in flower since December, now May. Very attractive waxy flowers, the plant itself is beautiful enough however when the flowers open their scent is superb. Not demanding, remove the odd yellowing leaf, feed with seaweed if needed, mulch, if it needs nutrients the plant will tell you, don't over water it. 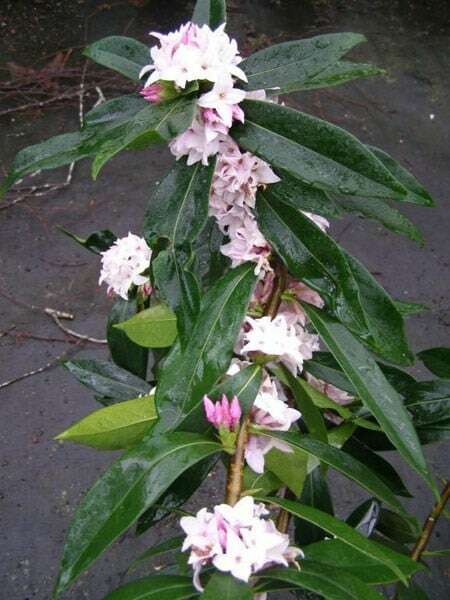 Our garden is very windy, we get -10 C in winter, Daphne has never been affected. Can be grown in a large container if lack room is an issue. Thank you Crocus for selling extraordinary healthy plants. 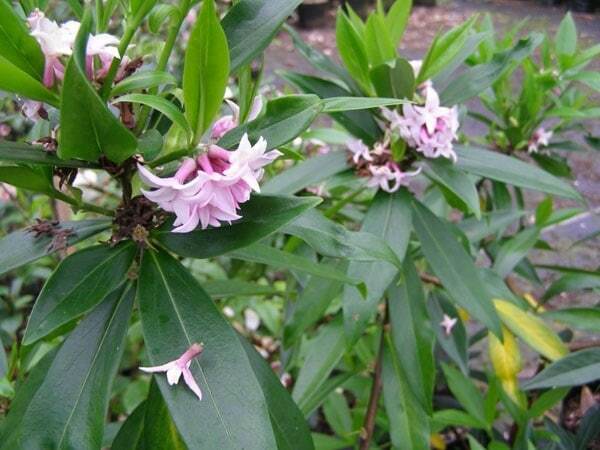 It is very small and is a slow growing shrub. It is too small yet to plant in the garden. So, it's growing in apogee. No flowers this year but hoping for some next year. 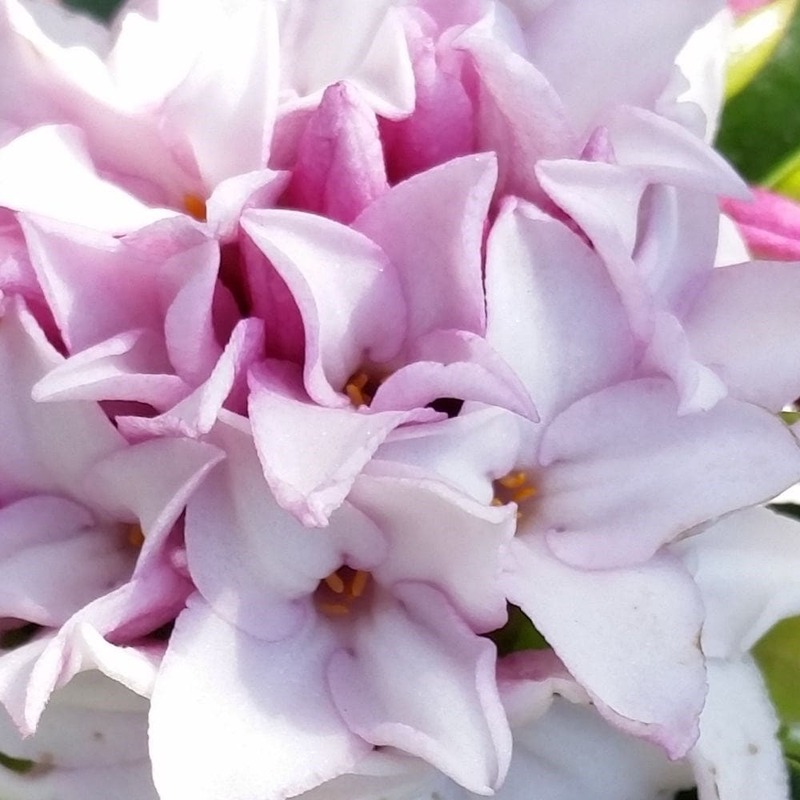 In July 2016 I purchased 2 Daphne Perfume Princess plants which arrived looking healthy and were almost immediately planted out into good soil. 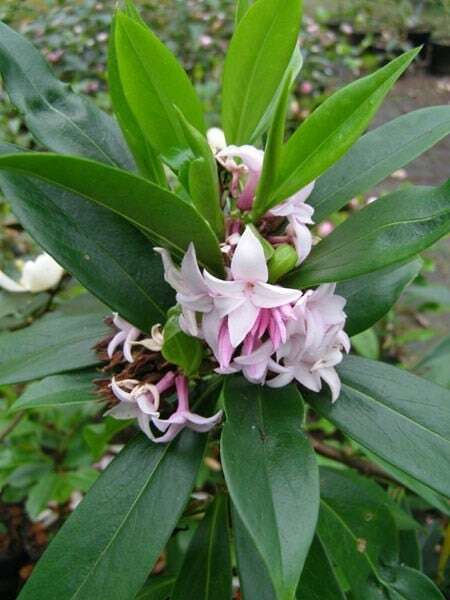 Up until mid autumn they looked healthy and put on the flowering shoots that blossom in February and which have a strong and attractive scent. Unfortunately, in October one of the plants drooped badly overnight and did not recover. Eventually I removed it but could find no evidence of what had caused its failure. I spoke to a professional gardener who told me that he had had a similar experience when two out of five plants failed, so be warned, as this is a quite expensive plant !! This has been in flower since early January and shows no sign of flagging in late Feb. It's been in the garden for two years and this is the first year of flowering. Hello, No, these plants tend to have self-supporting stems, so do not need additional support. Can these plants be grown successfully in pots? 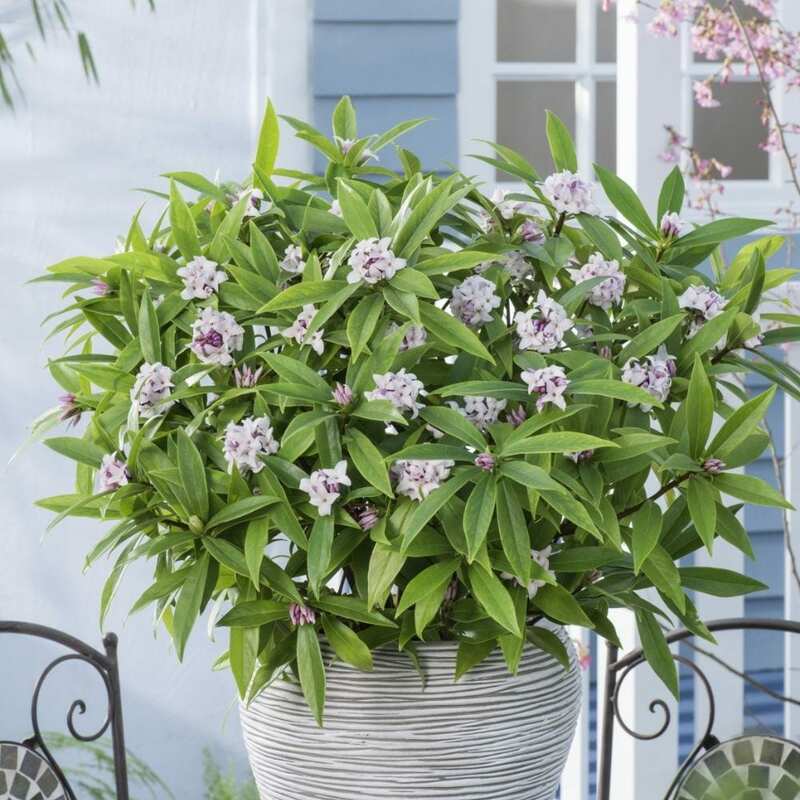 Hello, I have seen them growing in pots, however they are much happier in the ground where their roots can settle in.